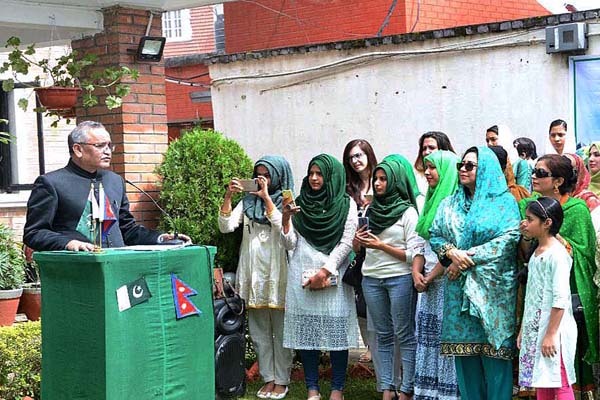 ISLAMABAD, Aug 14 (APP):A graceful event was held in Nepal to celebrate the Independence Day of Pakistan. Vice President of Nepal Nanda Bahadur Pun was chief guest at the reception which was attended by over 500 people from different walks of life, a message received here Tuesday from Nepal said. Reception was followed by a Pakistan Music show by Sara Raza Khan and her team. The audience greatly appreciated the performance. Sara Raza also sung a ghazal written by former King of Nepal and had first been sung in the King’s palace by Ghulam Ali.